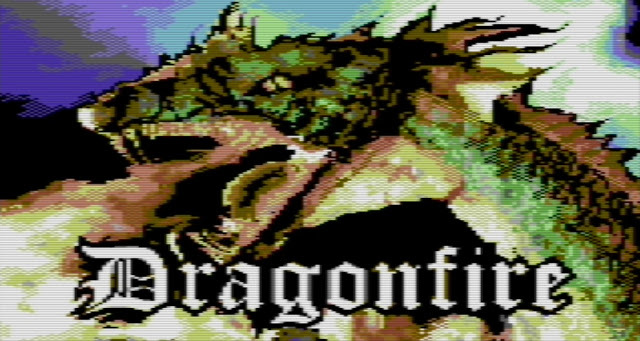 Indie Retro News: Dragonfire - There be dragons in this C64 Pal-Fixed release! Dragonfire - There be dragons in this C64 Pal-Fixed release! Hokuto Force has kicked it up a notch for Christmas with two original games fixed up and ready for the click of a joystick attached to a C64. The first one for mention, is ' Dragonfire ', a fire breathing game first released way back in 1984 that has been PAL fixed by The Mad Scientist to work on both Pal and NTSC based machines with inclusive trainer. Playing as the prince, your goal is to recover all the king's treasures that have been stolen! The treasures are being kept in different castles, each one guarded by a fire breathing dragon that features two parts to the game. 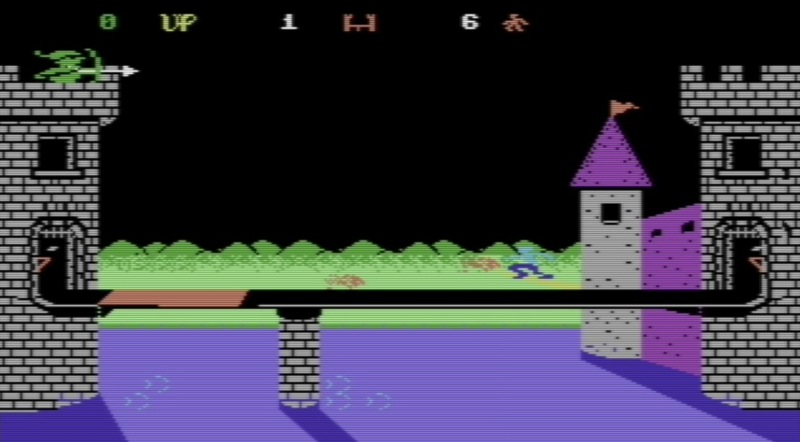 The first part requires you to reach the other end of the drawbridge, while jumping and dodging fireballs from a fire breathing dragon. The second part you'll need to collect all of the treasures on the screen and make it to the exit, which again features a very annoying dragon! Furthermore this game is very difficult and especially on the second part the dragons on each level have different patterns of movement and firing, and as the levels progress will become faster and trickier. But at least now with a trainer thanks to Hokuto Force, you can play the game to it's fullest without being frustrated!